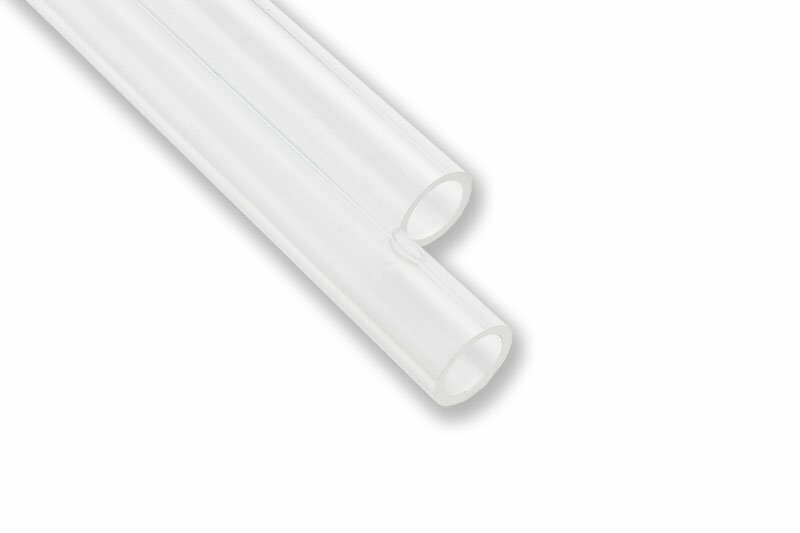 EK-HD Tube is solid type extruded acrylic tubing intended for use with EK-HD push-in adapters and EK-HDC series compression fittings. The tubing may be heat treated to achieve certain bends. For expert users only! It is mandatory to chamfer the edges of freshly cut tube in order to prevent gasket (O-ring) damage. EK recommends a 0,5mm x 45° chamfer. Technical data: – Material: Extruded acrylic – Inner diameter: 10 mm – Outer diameter: 12 mm – Length: 500 mm (19.5″) The package contains 2 pieces of tube only. Please purchase EK-HD Adapter or EK-HDC compression fittings separately! For easier installation we recommend wetting the gasket (O-ring) using drops of water prior to installing solid tube.